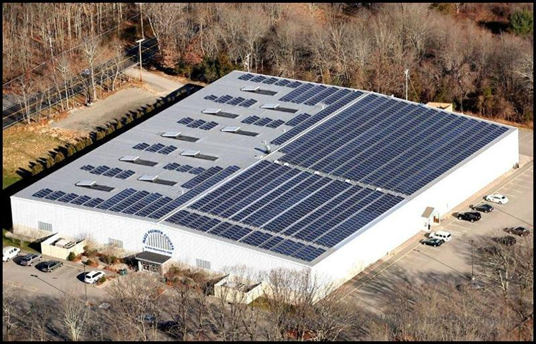 Beaumont Solar has completed one of the most significant solar projects in the region with the design, engineering and installation of a 389.40kW rooftop solar system at Mass Premier Courts in Foxboro, MA. The 73,000 square-foot indoor basketball facility will be 100% powered by the 1320 solar panels installed on the metal standing seam roof. Mass Premier owners wanted to have the system fully operational by the end of 2012 to capture the 50% bonus depreciation. 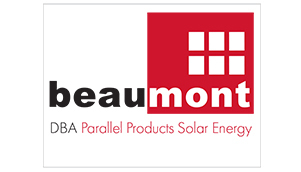 With an in-house staff that is vertically integrated, Beaumont Solar designed and installed the system with the speed necessary to achieve this goal. Key to maximizing ROI and meeting this timeline was the in-house Beaumont Solar design team, who were able to avoid the huge financial and time delay costs of utility upgrades for the customer by matching the size of the inverter to the existing utility transformer. In combination with energy savings, Mass Premier wants to take a leadership role in teaching the next generation about energy responsibility, since 95% of their client base is children. Beaumont Solar is providing an interactive touch screen monitor for the building’s lobby to show young people how much energy the solar system is saving the basketball facility every minute.